Located in the heart of California wine country, Jeff Speakman's Kenpo 5.0 North Bay - Martial Arts is the school for you! Dedicated to real world self-defense in a fun, safe environment, joining our school will be your best decision. Kenpo is so much more than quick hand strikes, kicks, and a great workout - it's a way of life and an introduction to a whole new set of friends and "family". Overwhelming Support for Your Goals. Have you heard the saying "it takes a village"? Our school will be your village! Students become physically fit, confident, empowered, joyful and stronger both mentally and physically - no matter what shape they're in when they come in. Martial arts is the combined unity of what is on the inside AND what is on the outside. You'll become empowered and feel confident showing the world what you're made of! Family Style Training for Kids and Adults. If you are looking for a family-oriented martial arts school that teaches traditional self-defense fundamentals, you've come to the perfect place. We offer classes for kids and adults in a traditional, fun, safe and positive environment. Kids who train in martial arts typically do better in school, are more willing to help, and have a stronger sense of self. Our youth classes teach discipline, self-respect and confidence through a traditional martial arts program combined with fun and exciting experiences and character-building. 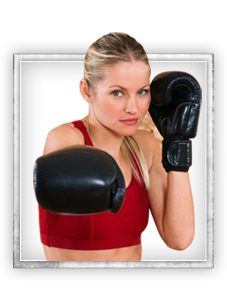 Adult programs and Cardio Kickboxing classes are second-to-none! 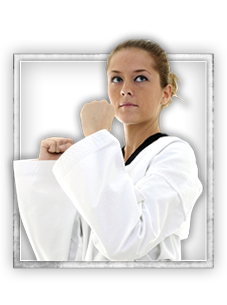 Get fit, strong, confident and skilled in self-defense. The real world can be frightening, but, through our classes you'll feel confident in your abilities to protect yourself and your family. Just knowing you can defend yourself, or even spot an potential attacker so you can get away, can help navigate this crazy world. A Strong Sense of Community. 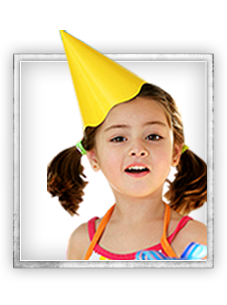 A community of caring, dedicated instructors, fellow practitioners and families -a school dedicated to fun and fitness. Our martial arts staff is committed to giving you the best experience in martial arts you could ever need and are here to teach you, encourage you and motivate you! You couldn't ask for better coaches - instructors who will champion for you and stand beside you on your journey. Mix your training with fun and laughter and what you get is great classes and a good time! Make friends, enjoy your time in class and leave feeling happier than when you came. Did we mention what a phenomenal workout you'll get? There's no doubt what we do here will empower you. You'll feel more confident and sure of yourself than ever before. And this will mainly come from all of the physical gains you'll make - the workouts are fun, challenging, and fast-paced! You'll move your body in a whole new way, learn amazing karate and taekwondo moves, and get in the best shape of your life! No matter what your starting point is, you will get better as you train. We've seen students who couldn't do a single push up when they started who advanced to 30 push ups in a row in just a few weeks! Expert martial artists also improve through training, you'll get quicker, improve your cardio conditioning, and increase flexibility. And of course, there is a community of people supporting you and encouraging you to become the best version of yourself you can possibly be. So, you can just come in, be yourself, and have a great time! One of the best thing for kids (and adults!) is the gift of self-esteem. Imagine how great it feels when you do well, you learn and master something new, and advance to the next belt! There is no better feeling than success. Boost your confidence, empower your family, and be a part of something special. But most importantly...Never Give Up! Check out our amazing web-specials on the class pages. Also, you can read in detail how each of our classes will benefit you! You can register directly through our site for ease and convenience, or come visit us. Ms. Renee Row is co-owner of Jeff Speakman 's Kenpo 5.0 North Bay - Martial Arts and is currently a Fourth Degree Black Belt and Head Instructor, training directly under Master Jeff Speakman. Ms. Row 's Kenpo journey began in 2002 when she decided to join a beginning Kenpo class after watching her son participate for a couple of months. She also grew up watching her father, a trained martial artist. Ms. Row has a Bachelor 's Degree in Accounting from Sacramento State and earned her Master 's Degree in Business from Sonoma State in 2010. Ms. Row is a cancer survivor with an 8-year clean bill of health. Her upcoming goal is to prepare herself for her 5th Degree black belt test in July 2020. Ms. Row says she has a lot of things to be grateful for in this life and Kenpo is definitely one of the top things that continue to give her life meaning. "Teaching Kenpo to others and sharing in my students ' joy and successes is the best part of this journey ". Mr. Jason Bates is co-owner of Jeff Speakman Kenpo 5.0 North Bay - Martial Arts and is currently a Fourth Degree Black Belt and Head Instructor, training directly under Master Jeff Speakman. Mr. Bates joined his first Kenpo class in 2003 after watching his sons take the class. Having always had an interest in martial arts and having seen Mr. Speakman 's "The Perfect Weapon " in the early 1990s, Mr. Bates joined Kenpo and never looked back. Mr. Bates is a military veteran of the United States Navy. He has a Master 's Degree in Project Management from the University of San Francisco and holds a PMP certification. Mr. Bates ' upcoming goal is to continue working on his requirements for 5th degree black belt in order to test in summer 2020. He also wants to continue studying the health aspects of martial arts as he would like to pursue a certification in nutrition. Come join our Santa Rosa, CA Martial Arts facility! 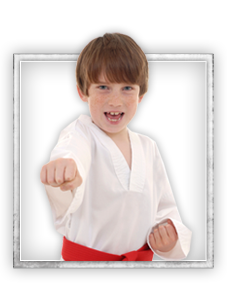 We offer programs in Kickboxing, Kids Martial Arts, Kenpo 5.0, and Birthday Parties. Choose a program that most interests you and have the opportunity to sign-up right here on our site for one of our awesome web specials. Or feel free to give us a call at 707-331-7626 if you have any further questions. Jeff Speakman's Kenpo 5.0 North Bay hopes to speak with you soon!